Direct connection 16 A. With "priority" phase. Automatic phase switches serve to maintain continuity of power supply to single-phase receivers in the event of power phase decay or a drop in its parameters below standard values. 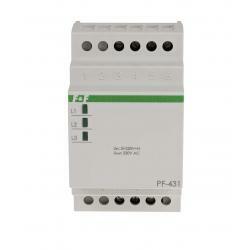 Three-phase voltage (3x230V+N) is supplied to the input of the switch. Single-phase voltage (230V AC), i.e. 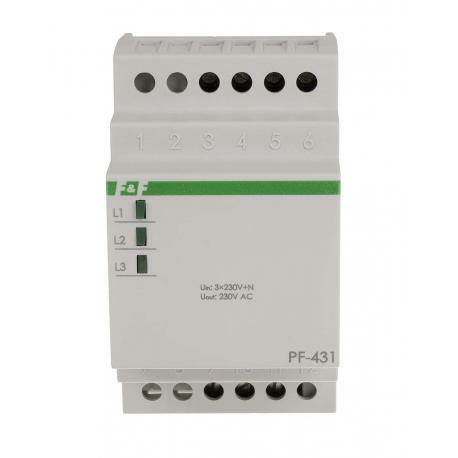 the phase voltage of one of the phases, is supplied to the output of the switch. 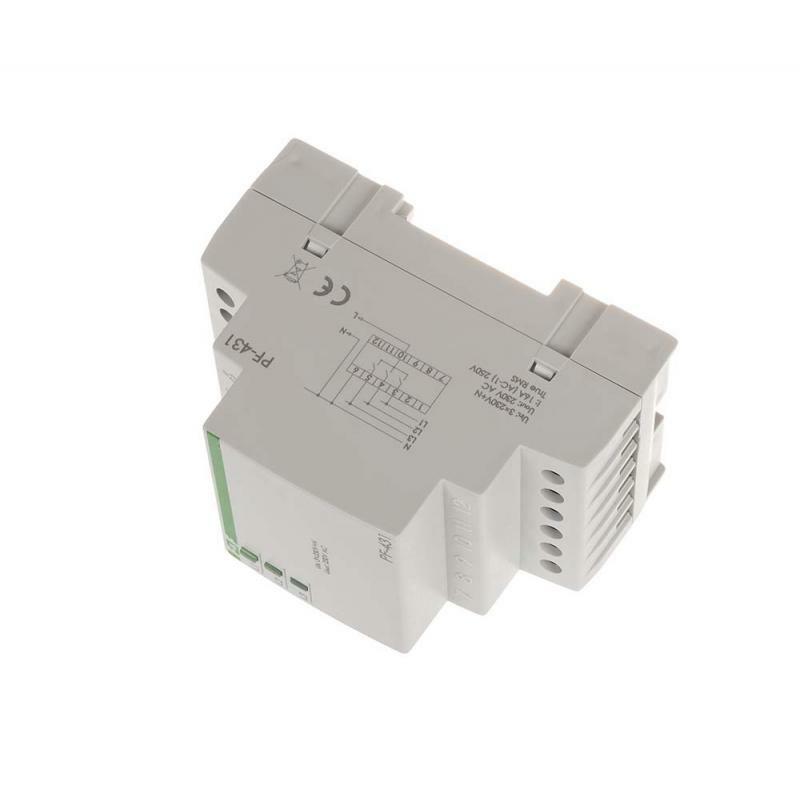 The electronic system of the switch controls voltage values of the phases supplied in such a way as to ensure that output voltage is not lower than 195V. 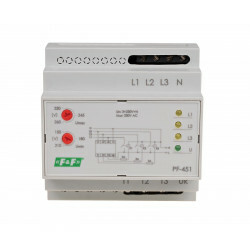 The phase that has correct parameters is directed to the output of the switch. The L1 phase is the priority phase, i.e. if its parameters are correct, this phase will be always switched to the output. If the voltage parameters of the L1 phase are not correct or if voltage decay occurs in this phase, the electronic system will switch the L2 phase to the output (provided that its parameters are correct). 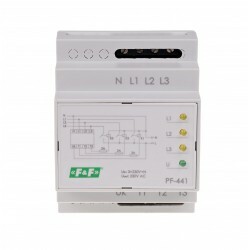 In case of a simultaneous lack of correct voltages in the L1 and L2 phases, the L3 phase will be switched to the output. 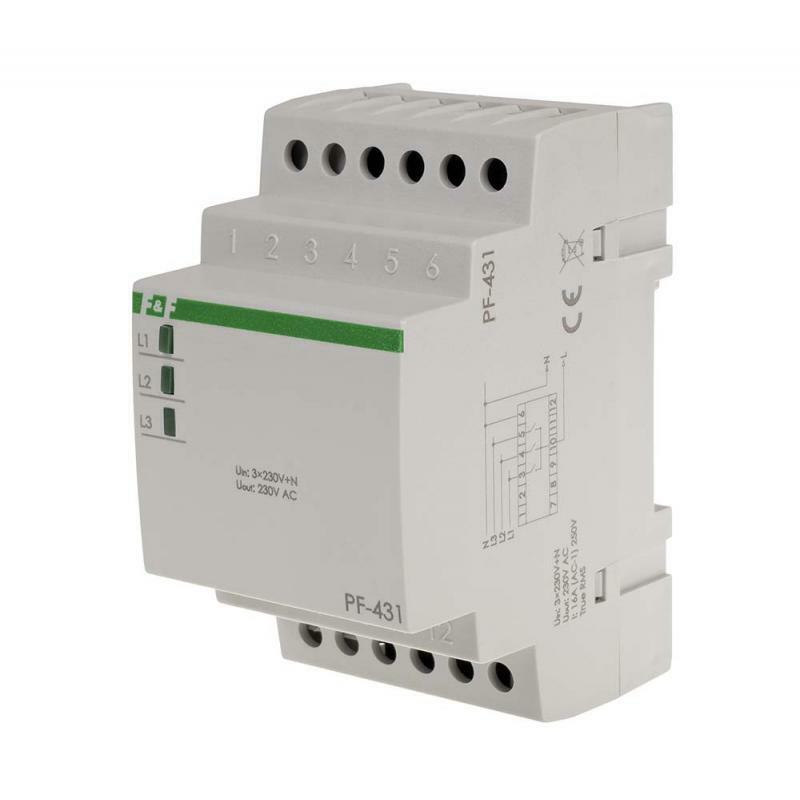 When the correct supply voltage returns to the L1 phase, the electronic system will switch this phase to the output. * The actual allowable load capacity depends on the nature of the receivers. 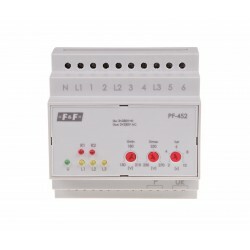 If the power supply is intended for large household appliances, heating, lighting (LED, floodlight, ESL light bulbs), it is recommended to use the PF-441 switch with additional contactors.